Two mums are playing in the WBBL cricket competition. How to juggle motherhood and a cricket career. 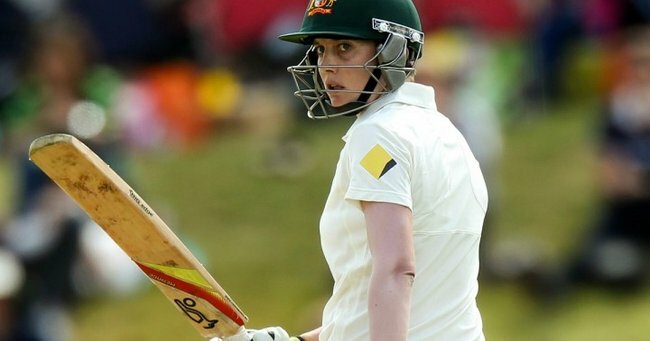 Australia’s cricketing women played their first game for the Women’s Big Bash League in Melbourne last weekend. Around 1,500 people turned up to watch the Melbourne Stars win two-from-two in the first fixture of the Rebel Women’s Big Bash League. In that Melbourne Stars team is a mum, Kelly Applebee. A fellow Melbourne player (playing for the Melbourne Renegades) Sarah Elliot is also a mum. Both of these women are 33 years old, mothers and have been playing elite cricket for 15 years. These two women are part of an inaugral Australian women’s cricket league and are juggling motherhood with training and their busy playing schedule. The summer for both of these women will be extremely full-on, busy, but also a lot of fun. Their story is one of determination, so we spoke to them about the stresses of managing family and a sporting career. Here’s what they had to say. Why did you first get into cricket? KA: I started playing when I was nine. Living in a country town, I followed my dad around when he played. Instead of watching I decided to start playing. I played all of my junior years in a boys competition. What are you most excited about playing in the WBBL? KA: The exposure to the women’s game. Since I’ve been playing we’ve seen an increase in promotion. However, I feel the WBBL will put women’s cricket on the map. The number of international players involved in the WBBL is exciting. It’s only going to strengthen the brand of cricket this year and in the future. It’s an exciting pathway for young girls interested in sports. I believe this competition will fast track our female cricketers to become fulltime professional athletes. Kelly Applebee. Image via Getty. 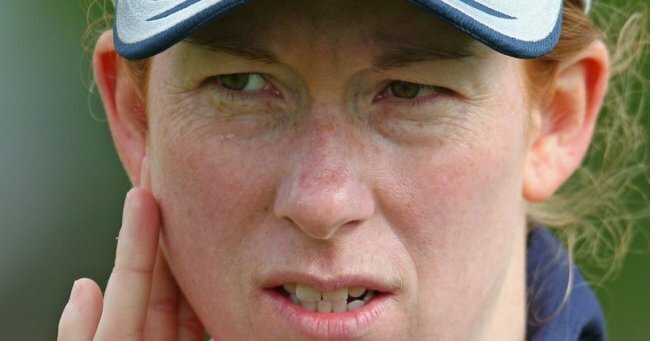 How do you handle the stress of managing motherhood and a sporting career? KA: Finding the right balance between sport, working fulltime and motherhood is the key. Having a support network around me is critical which I’m very lucky to have. I guess being open about how you are feeling physically and mentally is important. Being in the moment is essential. When I’m with Ella I really try and give my full attention to her and likewise when I’m at cricket. How do you juggle your commitments? KA: Emma and I sit down every Sunday and plan out our weeks. Which includes doing a meal plan so we’re organised. I try and do our food shopping online to save time to help out at home. Emma and Ella will come into my work and have lunch occasionally on training days. This helps me feel like I’m seeing them more plus it breaks up the day nicely. Flexibility is also important. Sometimes your routine changes without notice when you have a baby so being able to adapt is vital. As an example, taking Ella on a run with me in the pram is something we have started doing which allows me to stay fit and spend time with Ella. What advice would you give to other mums aspiring to have a sporting career? KA: Just to give it a go. As they would know now, it’s amazing what you can fit into a day! At times it will be tough but it is very achievable and rewarding at the same time. Build a strong support network around you so they can help you achieve your goal. Train smart and enjoy the success with your little family. SE: I played every sport at school including cricket, enjoyed it and had some success, and so went on to join a club from there. SE: Playing with a new group of women, from some young up-and-coming stars to some interstate and very accomplished international players, as well as some of the regular spirit crew of course. Sarah Elliot. Image via Getty. SE: I’m lucky to have a very supportive crew around me. From my husband Rob, to my mum and dad, my brother, my sister-in-law, and countless other friends and family. Not to mention Cricket Victoria and Renegades coaching and support staff being extremely supportive and flexible. Being a mum certainly puts cricket back into perspective for me. SE: Again family and friends keep me on track. I’m the most unorganised, organised person if that makes sense (it will to those who know me!) You just do what you do I think, lots of other mums juggle far more than I do. Go for it, what a great opportunity! – Matildas midfielder, Sam Kerr is in the running to be the first ever player to win the Professional Footballers Australia’s Women’s Footballer of the Year award twice. She will be up against, Emily van Egmond, Elise Kellond-Knight, Caitlin Foord, Laura Alleway and Lydia Williams. The winner will be announced next week. – Australia has lost to Great Britain in the Hockey World League Final. Helen Richardson-Walsj scored the only goal against our women’s team. Australia won their two previous fixtures in the tournament. Unfortunately Great Britain were the better team on the day. – And in sad news for women’s sport in Australia next year, the Sydney Swans and GWS Giants won’t be fielding the women’s foundation teams in their 2017 season. While both clubs support the proposed national AFL competition, hoping to kick off in 2017, they won’t be giving their field up for the women. What sport have you been playing or watching this week?